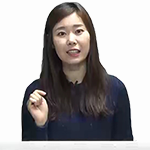 Through this course you will understand Korean teacher well in beginner level 1~2. Course content: Vocabulary & Grammar (1~4) Reading (5~8) / Writing (9~11) / Listening(12~16). Follow to the best lessons and you will pass exam! Content: Grammar (1~4) / Reading (5~8) / Writing (9~11) / Listening(12~16) / irregular verbs and honorific (17) / Practice (18~22) TOPIK 1 Beginner Actual Practice aims is to enable learners to acquire all the TOPIK questions and gives detailed explanation of grammar items. TOPIK beginner lecture features integration of vocabulary, grammar, reading, writing, and listening. TOPIK beginner lecture Helps you with irregular verbs and honorific. Self–Assessment is possible as well Through TOPIK practice. Thank you for all the video. It's the best way to learn korean. Thank you teacher. Thank you for the class. This is great practice to review for my test. The best tutor I have ever seen !!! Thnx a lot!!! Hello, everyone! Was anyone able to download the pdf-material? Thank you for a free option for reviewing for the test!